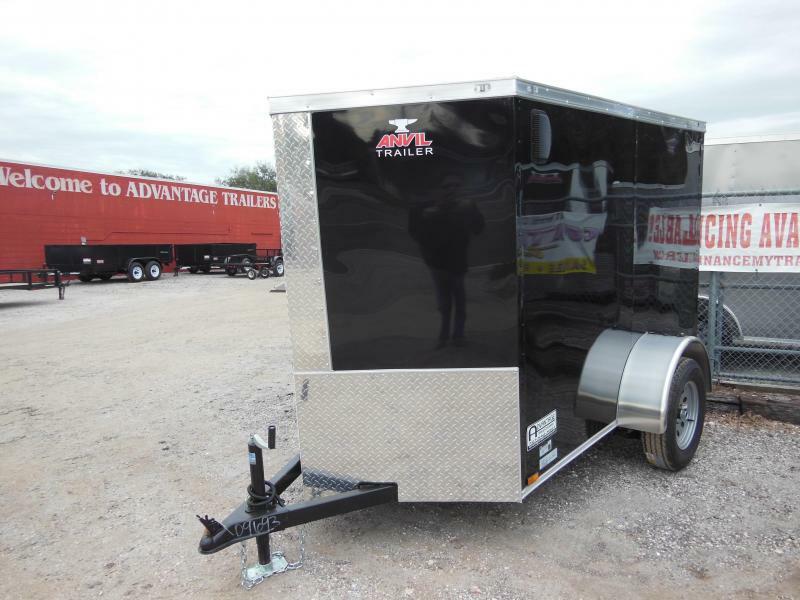 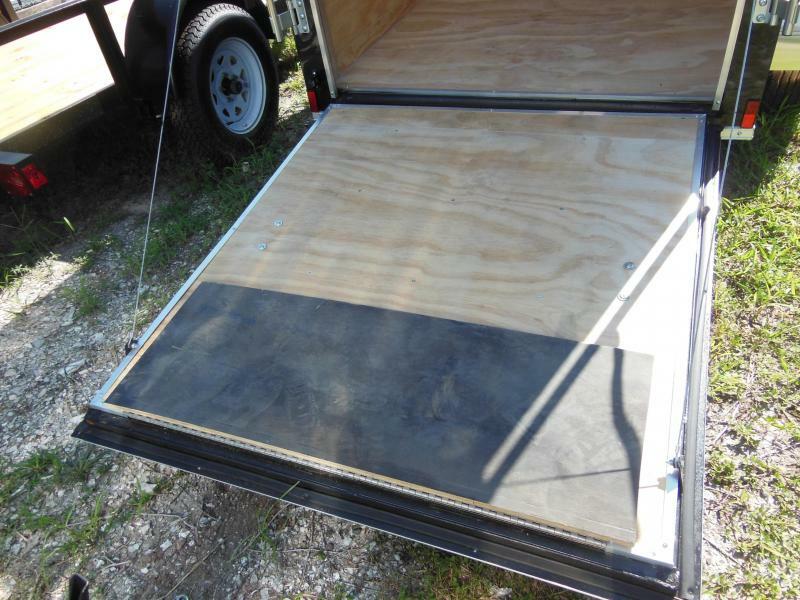 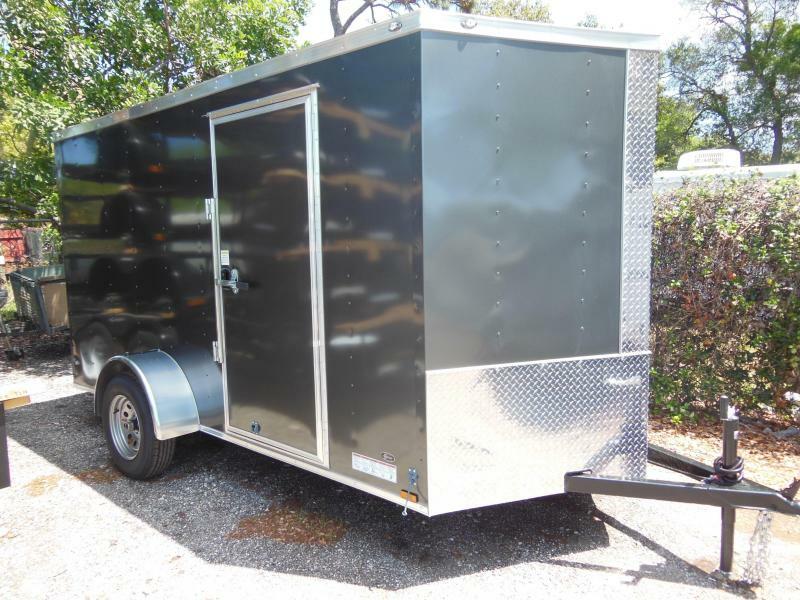 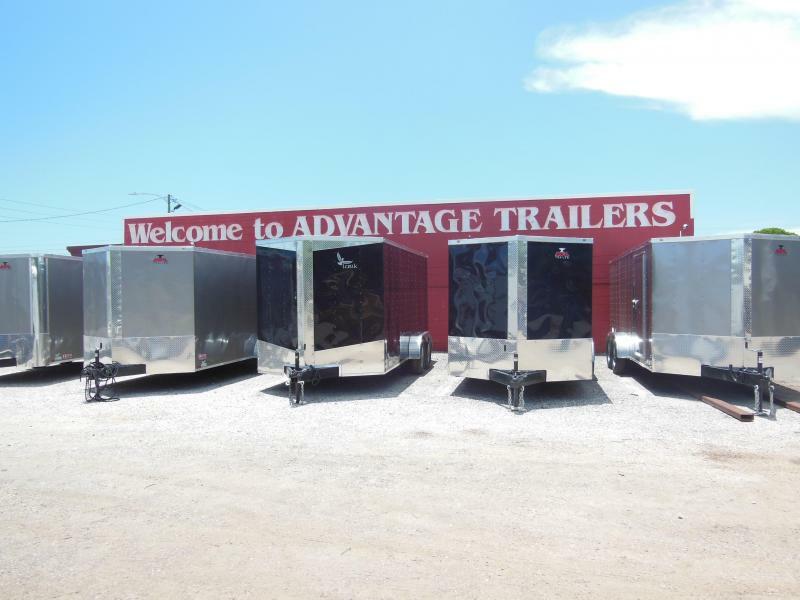 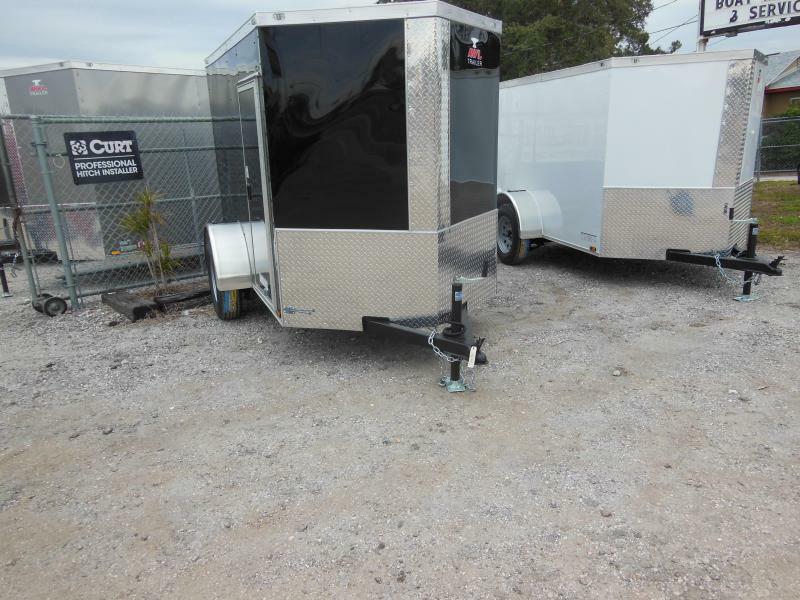 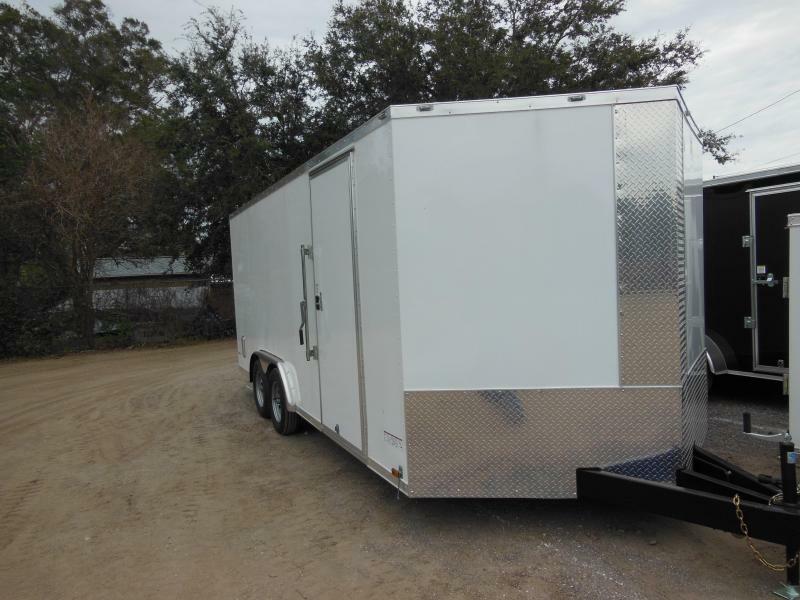 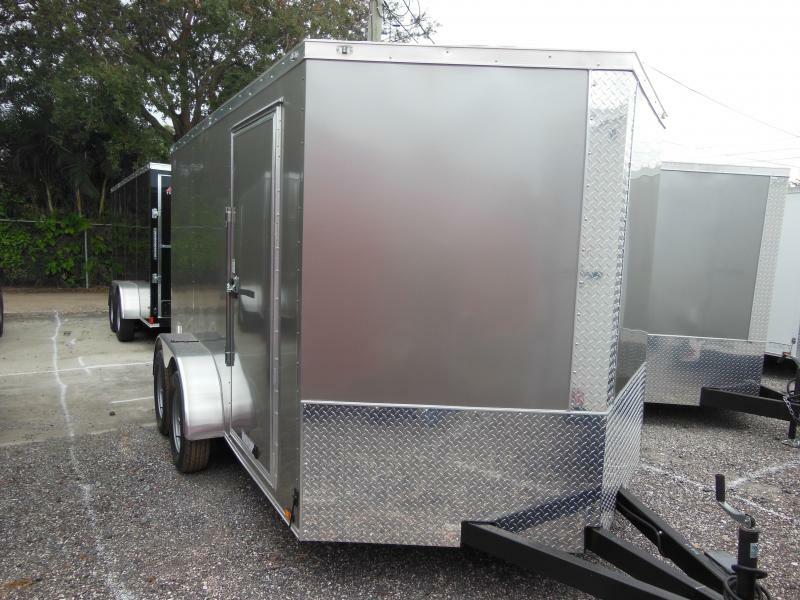 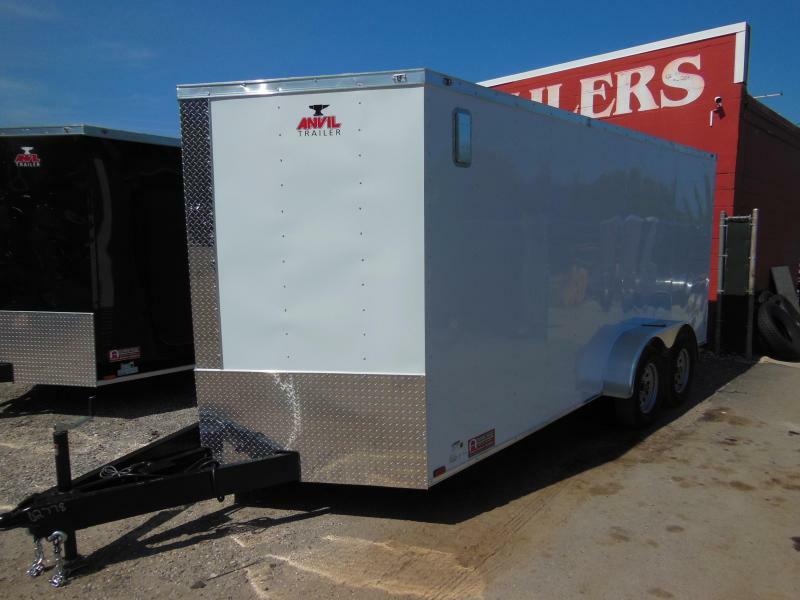 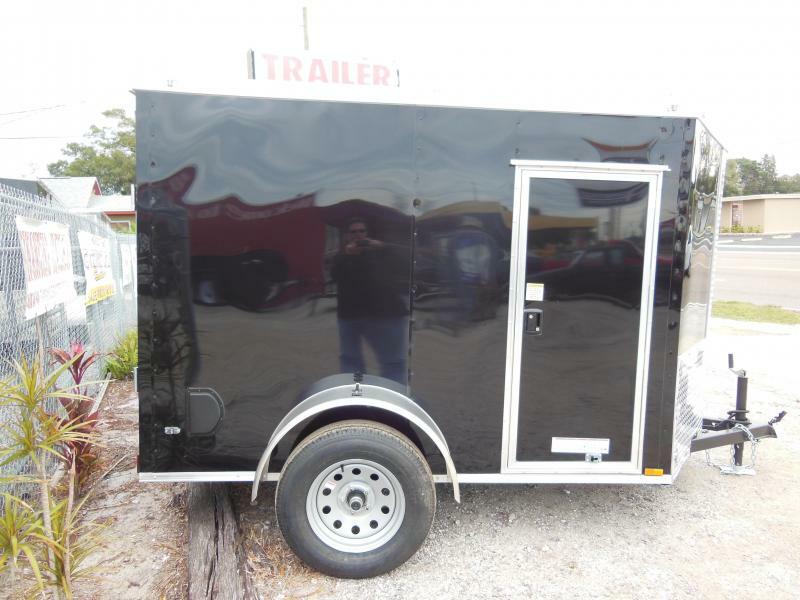 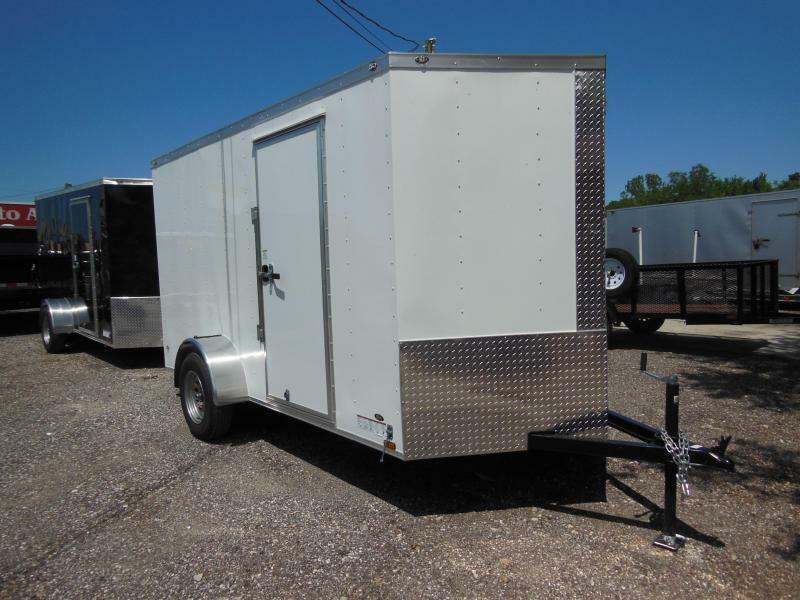 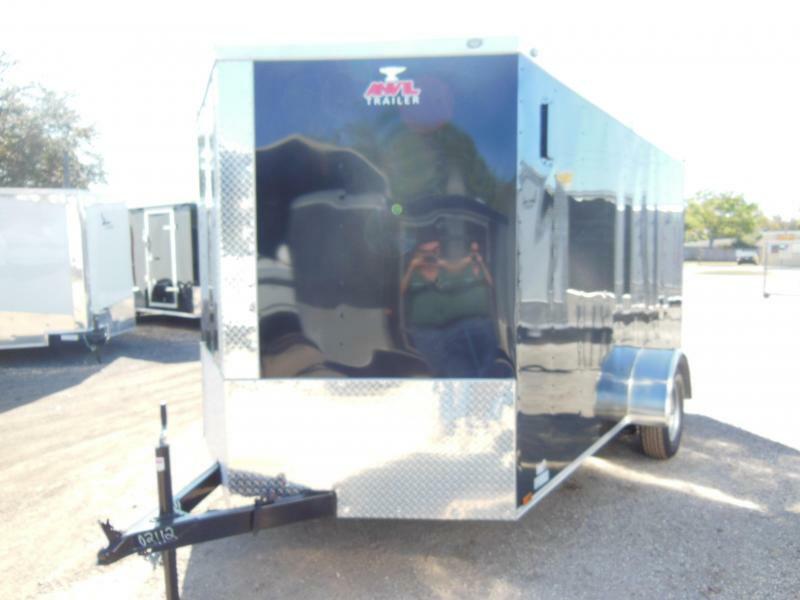 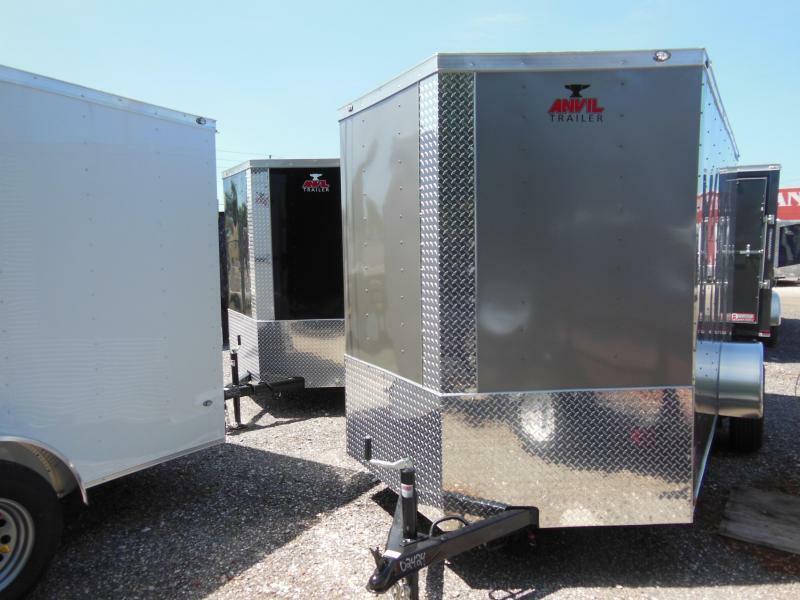 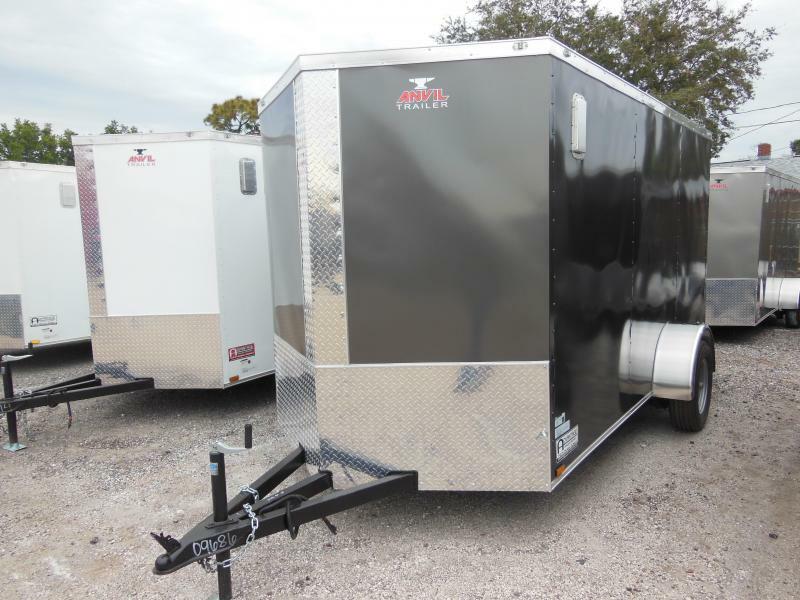 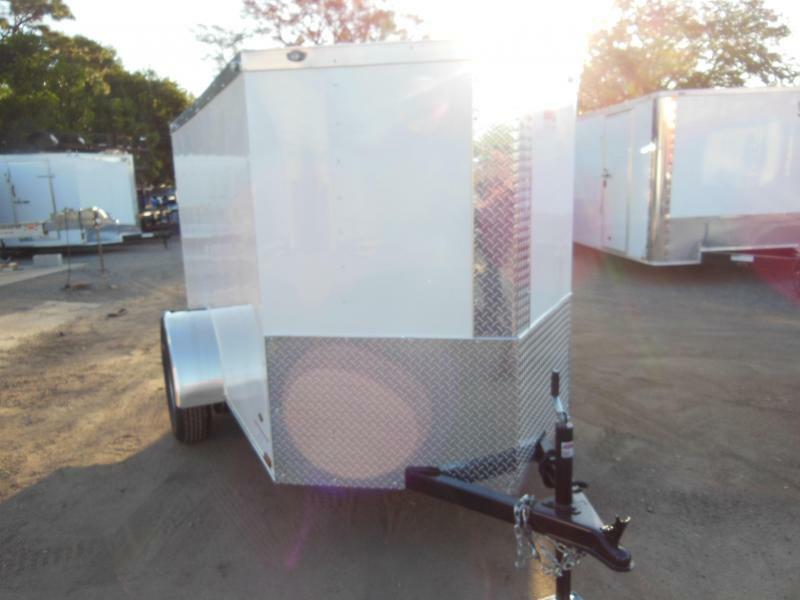 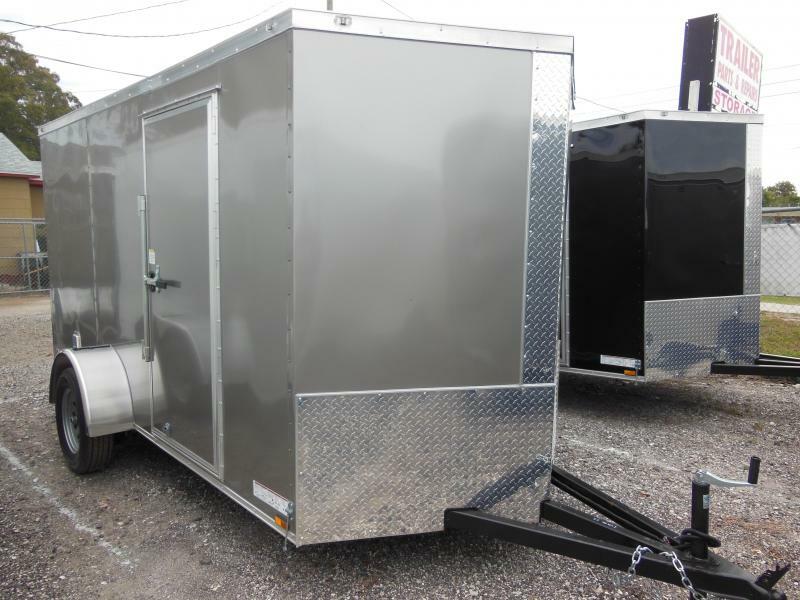 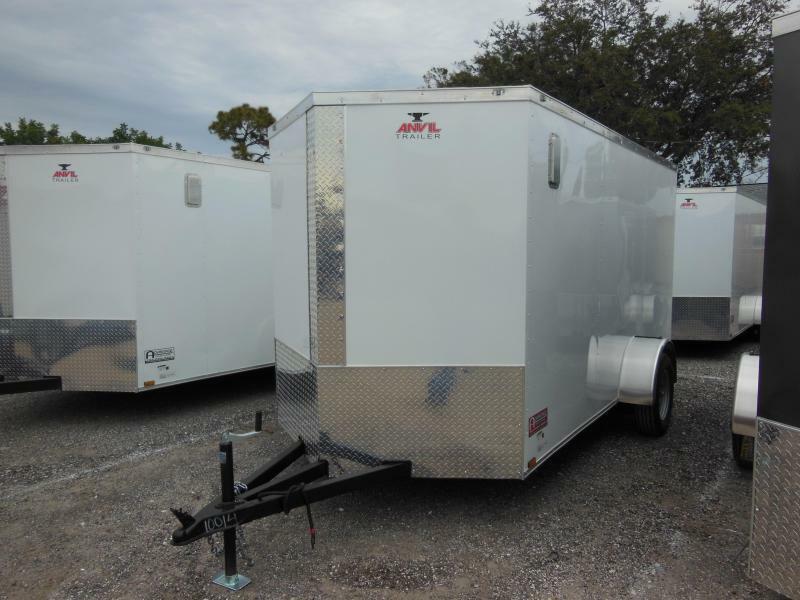 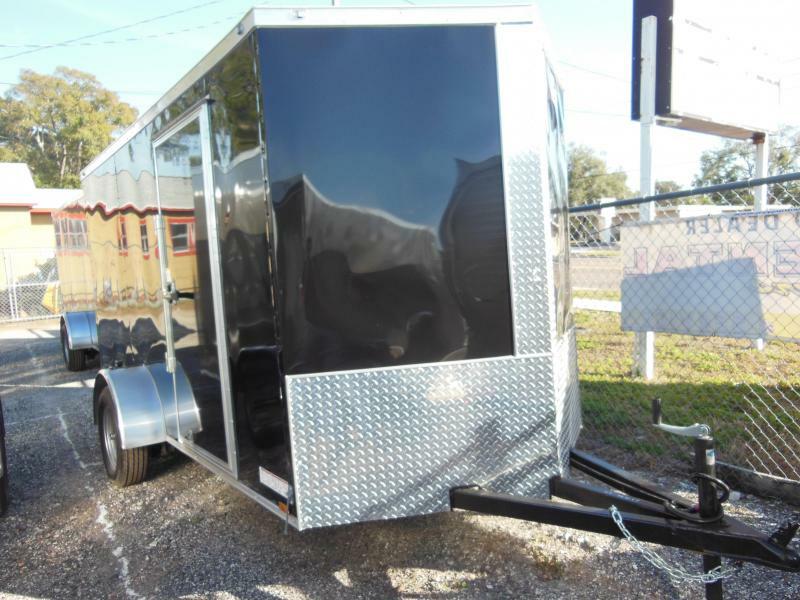 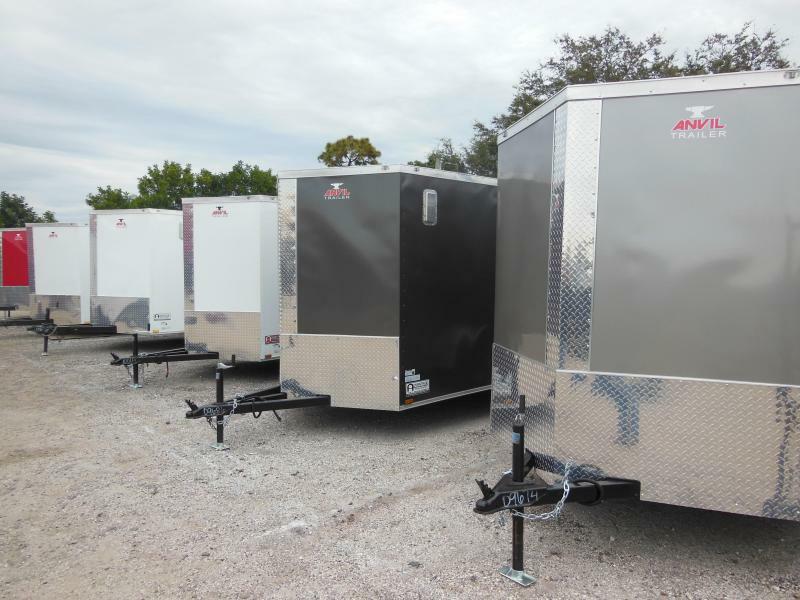 This brand new Black Anvil 5 x 8 x 5'6" single axle trailer is perfect for hauling your motorcycle. 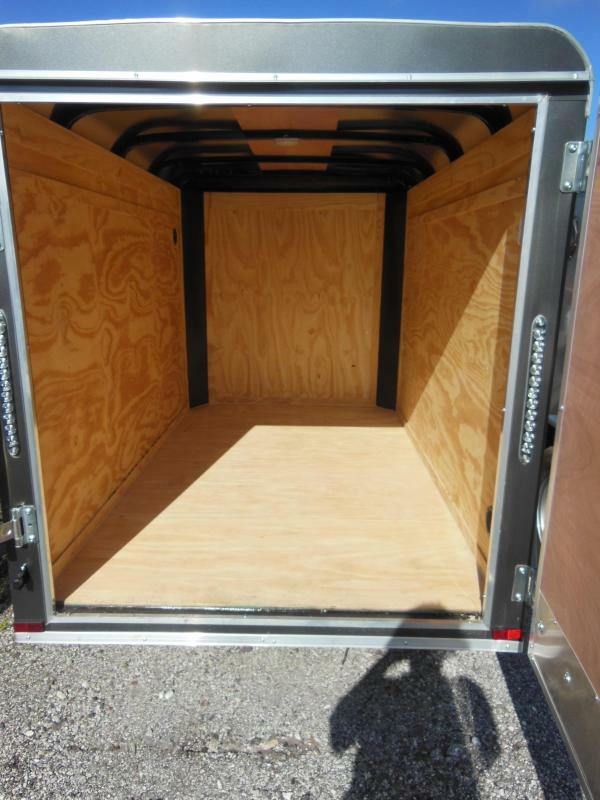 Almost 9 1/2 ft from the tip of the v-nose to the back door. 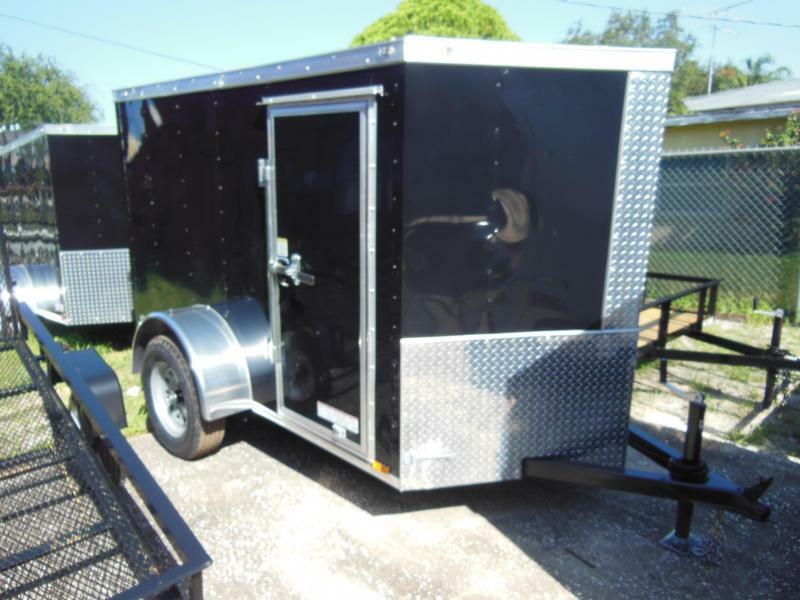 Side door with both RV style & bar-lock.